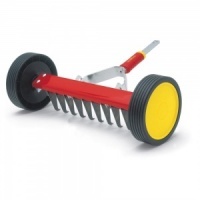 Wolf-Garten Wooden Tool Handle 140cm from the popular Multi-Change® inter-locking tool system, is specifically designed for connecting to all Multi-Change® Wolf tool heads. 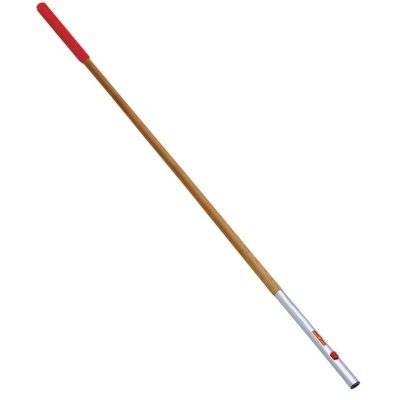 Hardwood shaft made of FSC® certified ash with PVC grip and hanger with rust-proof aluminium connection socket. Push button tool-head release, guarantees a safe and secure tool-to-handle connection, whilst ensuring easy tool head exchange. Wolf tools represent high quality engineering and supplied with a 10 year guarantee. Wolf tool handles and heads from the Multi-Change® range are designed with easy transport, easy storage and ease-of flexibility in mind, especially when plot may be a distance from the home or tool space is at a premium. Actual handle length 140cm. Compatible tool heads & handles also available separately in the vast Wolf Multi-Change® range.